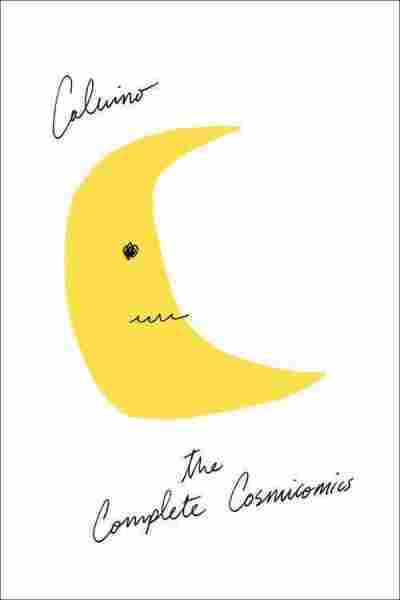 Book Review: 'The Complete Cosmicomics' | Calvino's Stories Trip The Starlight Fantastic Italo Calvino's delightful "cosmicomic" stories have long been scattered — split into separate books and translated in pieces. Now, a collection new to the U.S. is finally bringing them together. Italo Calvino's lead character, the impossible Qfwfq, rides lava, galaxies and the very curve of space itself. 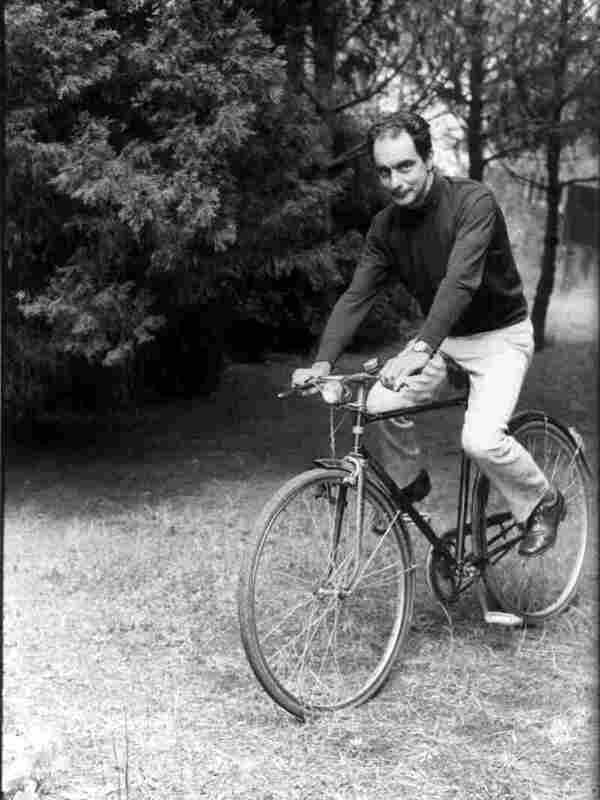 Calvino, however, rode bicycles. Italo Calvino has a habit that's hard not to find disconcerting. Halfway through a story, or even a few sentences in, he often pauses — briefly, glibly — to mention in passing that everything he has written so far is wrong. Oh, and the same goes for what's to come. But it's best not to let it slow us down, he suggests. This will happen sometimes when you're inventing worlds and ideas that can't be put into words. But words are all he's got — so deal with it. It's a hasty disclaimer, but one that makes plenty of sense in this case. Calvino's "cosmicomic" tales, a batch of short stories that he wrote mostly in the '60s, don't much care for logic and limitation. They aspire to nothing less than the creation of an entirely new genre, usually taking for a foundation a difficult scientific or mathematical concept and twisting it into a nimble and often hilarious plot. His characters — especially his frequent narrator, an unpronounceable codger named Qfwfq — scoop milk from the moon, quibble before the Big Bang and fall forever along the curve of space. They display powers fit for Greek gods, riding galaxies and defying death, but not so much because they break boundaries as because they're utterly oblivious to them. Affable and bumbling, they meet the unimaginable as a matter of course. Then again, though, you might know this already. Most of these stories aren't new, after all. Before Calvino's death in 1985, he wrote 34 cosmicomics, collecting many of them in various books over the span of two decades. The bulk of these stories were translated from Italian into English during his lifetime by William Weaver. After Calvino's death, Tim Parks translated others. Literary titan Salman Rushdie even took to the air on NPR six years ago with just one recommendation: Pick up a copy of Calvino's Cosmicomics. Now, as a general rule, I don't think it's a good idea to compete with Rushdie — but, just this once, this review has something more to offer: that is, the entire collection. Whereas Rushdie recommended just the 12 stories in Calvino's first book, and Weaver's and Parks' translations once lived separately in several different volumes, finally all of the cosmicomic stories have been set down in the same place. This means that Martin McLaughlin, our trusty translator this go-around, has even brought seven of them into English for the first time. Finally, after decades, and after a few years where it was published only in the U.K., The Complete Cosmicomics is now available on American shores. That means a first encounter with clever fables like "The Meteorites," in which Calvino imagines an early version of Earth as a tiny ball with only two people on it, picking up dust and junk as it flies through space. "We would see an object approaching from the depths of space, fluttering like a bird," Qfwfq says, "then later we'd find out it was a sock." Carpets, copies of the Quran, the Mexican volcano Paricutin — they all just hurtle to Earth and pile up, building the world as we know it out of mismatched knickknacks and landmarks. At the same time, Calvino manages to build from this cluster of sight gags a moving reflection on chaos and order. In story after story, Calvino displays the same singular talent for wresting the profound from the absurd. That's not to say that all the stories read the same way, of course. In fact, one of the joys of the collection is the chance to watch his evolution as a writer — from the purebred fantasy of his early years to the brain-wrinkling experiments of his later, more famous novels. When put between the covers of a single book, a universe-spanning farce and an allegory of continental philosophy can make for strange bedfellows. But, so close together, these stories can also challenge each other in surprising and lively ways — with Calvino's contrasting styles bickering across space and time, much like his own characters. Trying to describe such a diverse and entertaining mix, I have to admit, just as Calvino does so often, that my words fail here, too. There's no way I — or anyone, really — can muster enough of them to quite capture the magic of these stories or, if you've already read some, the importance of why you should return for the rest in this edition. But no matter. At least I still have four simple words that'll do in a pinch: Read this book, please. Colin Dwyer is a contributor to NPR.